Fifteen years of lightweight R&D has allowed us to apply some exciting new construction and design technology to our range of light wings, and the Wisp benefits from much of the same features found in our high-performance adventure wings. With an optimised cell-count and carefully chosen profile, the Wisp is aerodynamically clean and structurally stable. 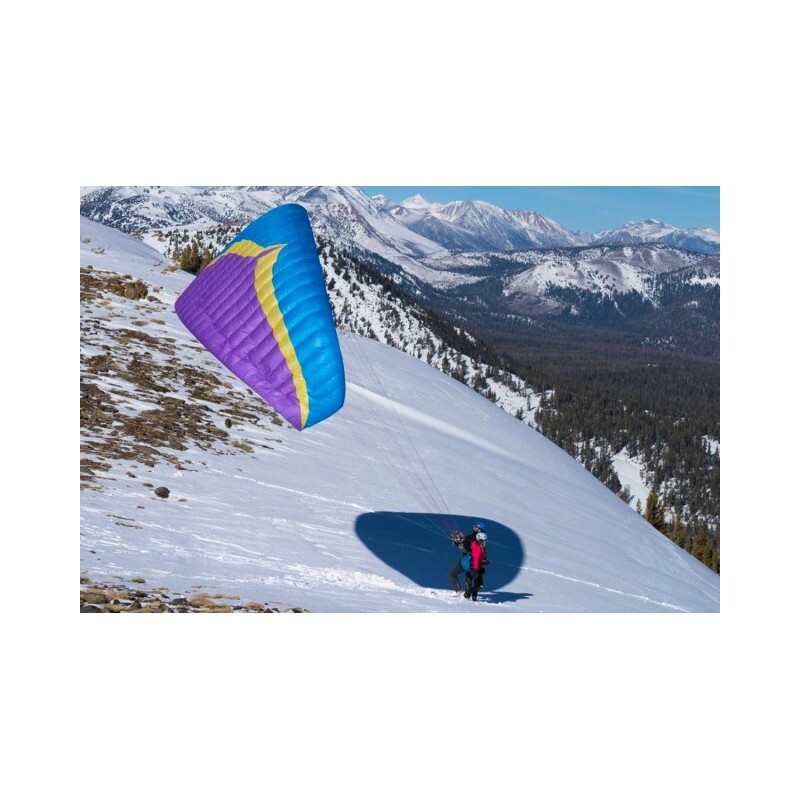 The reduced sail drag, optimised line layout, and low overall line consumption all combine to increase performance without compromising safety and ease of use. Weighing in at just 4.4kgs, the Wisp is a full-size 38m2 tandem with the pack volume and weight of a solo wing. 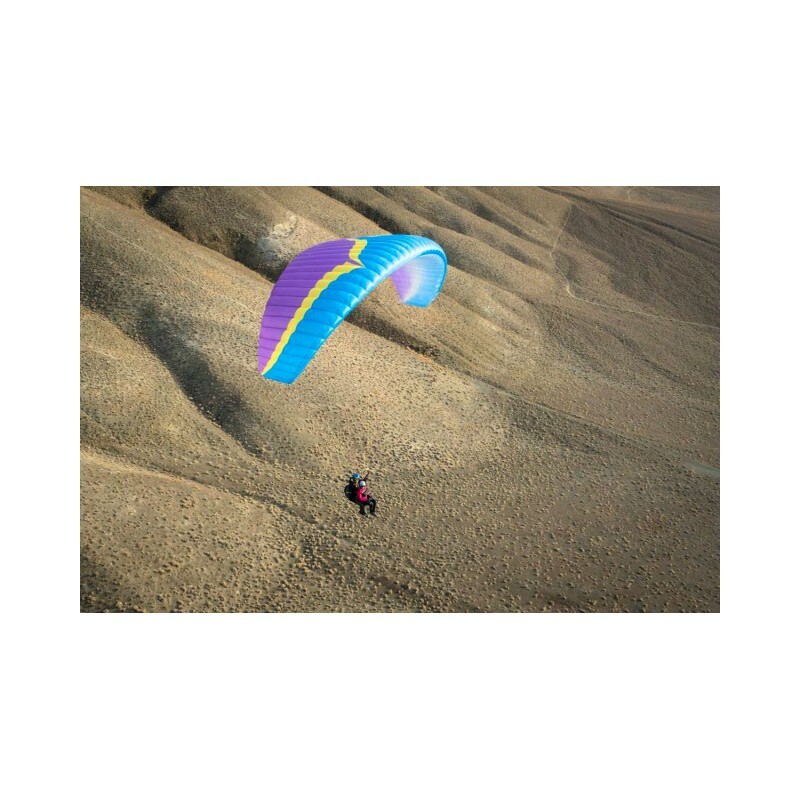 The hike is now as pleasurable as the flight, making it easier than ever to share the joy of alpine paragliding adventures with your favourite people. 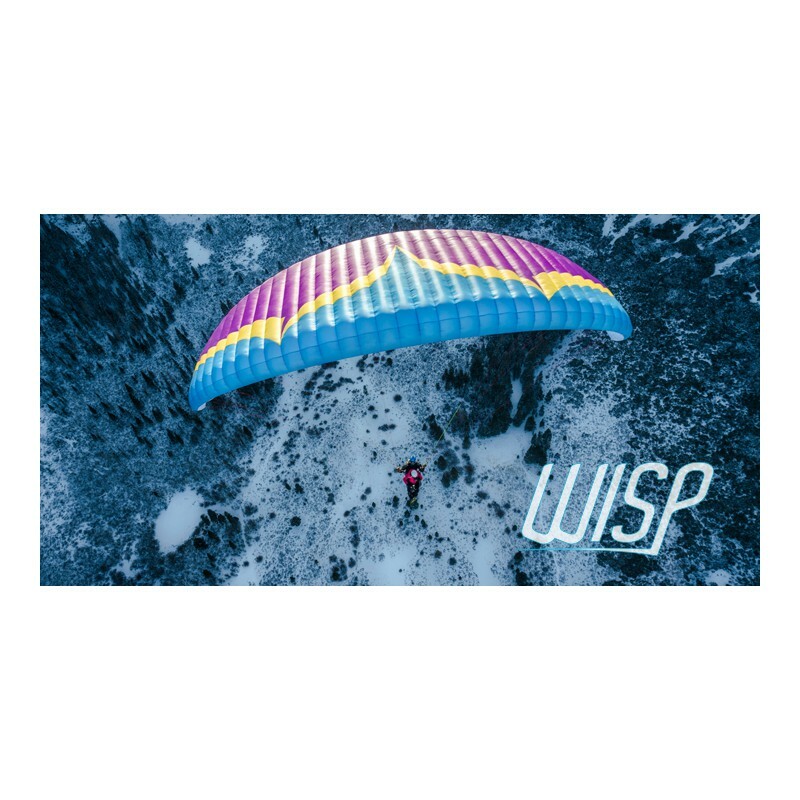 The Wisp uses a combination of the well-proven Dominico 20D and Porcher Skytex 27gr cloths along with innovative construction techniques to create an exciting ultra-light wing with maximum levels of passive safety. Currently, it is the lightest certified double surface tandem wing. Launching is a critical part of every flight, especially tandem, and especially at less-than-perfect mountain sites. The Wisp benefits from our R&D Team’s vast experience with professional tandem flying, and this part of the development carefully focused on. The Wisp is easy and low stress to launch. The risers are simple, colour coded, and uncluttered, feautring an innovative lightweight trimmer system that can be adjusted in the air to suit conditions and wingloading. 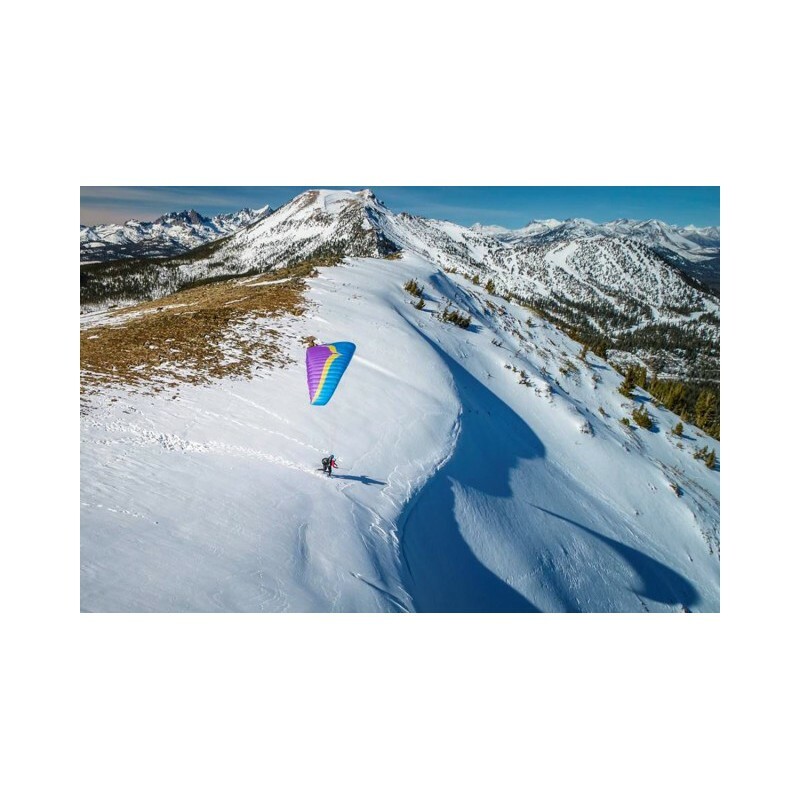 It inflates smoothly without hanging back, even in zero wind conditions. In stronger winds it rises progressively without the tendency to overshoot. In the air, low sail weight keeps inertia to a minimum, making the wing pitch stable. The controls are light, with minimal effort needed for inputs. Due to the planform and sail tension, the Wisp has a very compact feel in the air, absorbing turbulence and transmitting information in a cohesive, understandable, and confidence-inspiring manner. The handling is fun and responsive - turns are easy to initiate and the wing maintains bank angles whilst thermalling with minimal input.